Sep 07, 2017 Sharon D.
I feel very confident in their expertise and fair service. Very friendly staff! Aug 10, 2017 Eilisha S.
Every time I come here for service, they are very friendly and upfront with me about what needs to be done and where all the costs are coming from. They treat you like family! Even offer rides to local places depending on the wait to make sure you're taken care of and not stranded. I've had multiple fixes and checks on my car here and would bring it here every time I have a car problem if possible. Don't waste your time anywhere else. Yes they can get busy, but that really only speaks to the quality of work they do here and how grateful their customers are. 10 out of 10. Aug 03, 2017 Mary Ann V.
I recently had my car serviced at Tuffy on Garfield. I heard a noise and drove it there without an appointment. The service and staff were very knowledgeable and friendly. They educated me on the issue and immediately took care of the problem. I have always gone here and will continue to be a customer. I trust the mechanics, which I cannot say about the large car companies. Aug 01, 2017 Therese M.
The folks at Tuffy Traverse City have been so helpful and prompt with our Jeep Wrangler. They are very friendly and stand by their products. 5 stars for sure! May 20, 2016 John B.
I asked a couple grandkids to wash my 2005 Honda Element and take off the license plate so I could clean the clear plastic cover. They managed to break off the heads of both bolts. There were just short stubs remaining. I first took my vehicle to Honda, they gave me an appointment and told me that the nubs would probably have to be drilled out and re-threaded. On a hunch and because I had just had my manifold, catalytic converter, and front struts replaced at Tuffy on Garfield. The guys put my car in a stall and within 30 minutes the problem was solved. When I asked how much?...the guy said, "No charge". The Honda Dealership would have charged me a bundle. Jun 10, 2015 Catherine R.
Tuffy stands behind their work, Period!! I have been a customer for 5 plus years and so has my son. We continue to be loyal customers because these service techs know their automobile service arena. I have a troublesome problem with my air conditioner, which can be tricky anyway. Michael kept troubleshooting until he got to the bottom of the problem. Thank you for such dedicated service!! May 27, 2015 Jim T.
Thank you for your great service. Michael was great to work with. The price was reasonable and every promise made was kept. Good shop - good crew. Feb 13, 2015 shane r.
Oct 15, 2012 Ted M.
Sep 25, 2012 Kate B.
Sep 25, 2012 Susan M.
Sep 25, 2012 Wendy C.
Sep 25, 2012 Bon S.
Took my car to a near by dealership. They wanted to replace my exhaust system and catalytic converter to the tune of $2225.00. Took it to Tuffy Muffler on S. Garfield for a second opinion, they got it in within minutes and gave me a free estimate to repair what was needed, $123.60! They were wonderful to deal with, pleasant and thural. I would highly recommend these guys! . 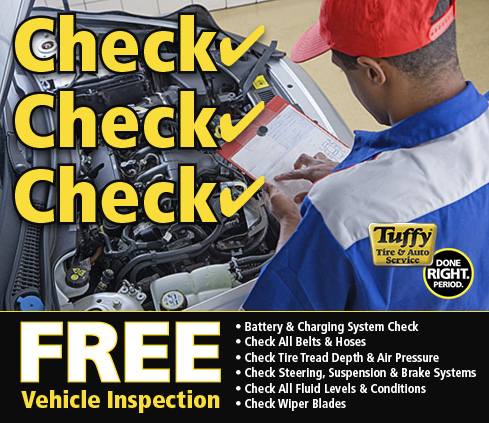 Tuffy Auto Service Center is your complete Auto Repair Shop in the Traverse City, MI area. We are family owned and operated, customer service and quality auto repair is our top priority. 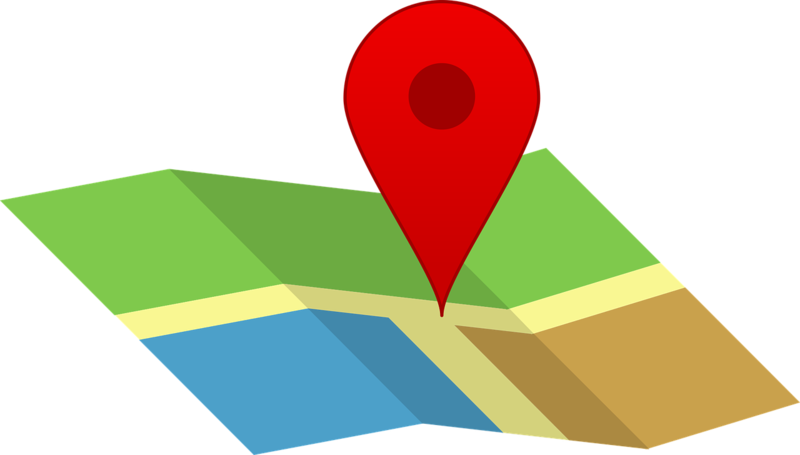 We are close to and happily accept customers from the Elmwood Charter Township, Garfield Township, Williamsburg, Whitewater Township, and Interlochen, Green Lake Township communities too. Need some help under the hood? Let us do the work for you and we promise you'll leave a happy customer. We offer competitive prices on oil changes, tune ups, brake services, engine repair, and preventive maintenance. 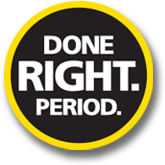 Keep your warranty and peace of mind by entrusting us with your vehicle maintenance. Our knowledgeable technicians at Tuffy Auto Traverse City can perform wheel alignments, exhaust repair, electrical systems service, suspension fabrication, transmission service, battery service, air conditioning repair and much more. Check our service list tab for an exhaustive catalog of all we have to offer! We service all makes & models, foreign and domestic, cars & trucks. On this site you will find great auto repair specials which update each quarter so check back often. Also, don't forget to sign up for our monthly eSpecial offers, exclusive auto repair deals for our email customers only.